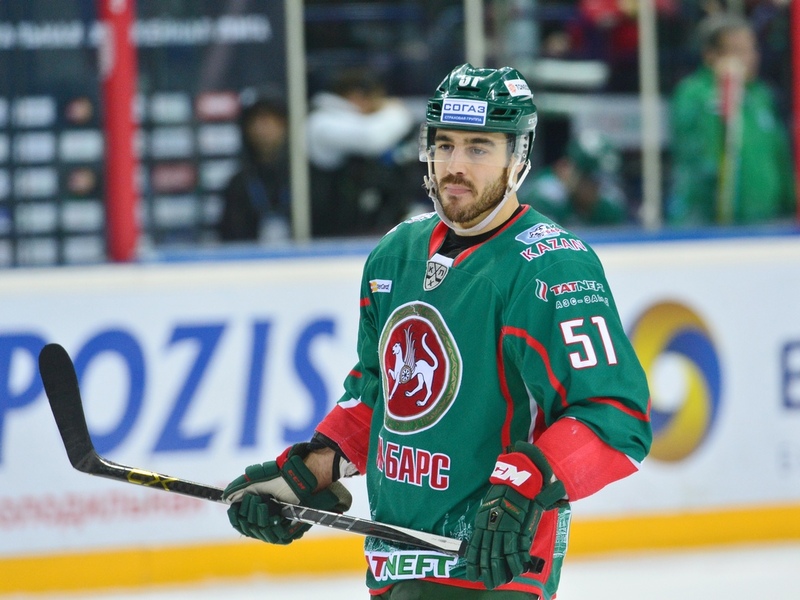 Ak Bars forward Justin Azevedo shared his thoughts with KHL.ru following Game 3 of the Eastern Conference final series against reigning champion Metallurg Magnitogorsk. The match ended in heartbreak for the Kazan men after the Gagarin Cup holders fought back from behind to claim a thrilling 3-2 victory and take a possibly unassailable 3-0 lead in the series, but no-one is in any doubt that Zinetula Bilyaletdinov’s team – the “White Leopards” of Kazan - will battle to the last. It was Justin Azevedo who opened the scoring in last night’s contest. The 28-year-old Canadian had not scored for a month – not since his dramatic dying-seconds goal against Salavat Yulaev in a 2-1 victory in Game 4 of the Conference quarter final in Ufa – but yesterday, Ak Bars was on the receiving end of the game’s twists and turns. Sergei Mozyakin leveled for Magnitka before Mikhail Glukhov put the hosts back in front, but Danis Zaripov struck a late, quick-fire double, equaling Evgeny Dadonov’s record of 15 goals in a playoff campaign and bringing victory to the visitors. The leopards must now lick their wounds and somehow claw their way back from 0-3 down in a playoff series. It is a daunting task, but not an impossible one. Only two seasons ago, SKA Saint Petersburg was trailing 0-3 in the Western Conference final against CSKA Moscow, and Vyacheslav Bykov’s men managed to dig deep enough to claim four successive victories, after which they won the Gagarin Cup final against none other than Justin Azevedo’s Ak Bars. After last night’s third instalment of the series, coach Zinetula Bilyaletdinov held a long meeting with the Ak Bars players, while the leading lights of the Magnitogorsk men kept up their self-imposed media silence during the series. On Thursday, March 30, we will be treated to Act 4 of the drama. The stage is once again Kazan, and the date is also the 36th birthday of the champions’ scoring sensation, Sergei Mozyakin. - Justin, you scored after nine games without a goal - your longest dry spell of the season. - Your team played very well in the first period, had some powerplays, and created a lot of scoring chances, yet you failed to build a big lead. What was missing? - The Ak Bars coaching staff made some adjustments to the powerplay units. Did that have a big effect on the team’s performance? - After your team took the lead for the second time in the match, you seemed to struggle to create more scoring chances. - Your team stayed in the locker room for longer than usual after the game. Was there a big inquest? - The team has a lot of injuries. Will this have a big effect on the outcome of the series? - One of Magnitogorsk’s leading players, Danis Zaripov, scored twice during the last four minutes of the game. He has been looking very sharp in this series, and all through the playoffs so far. 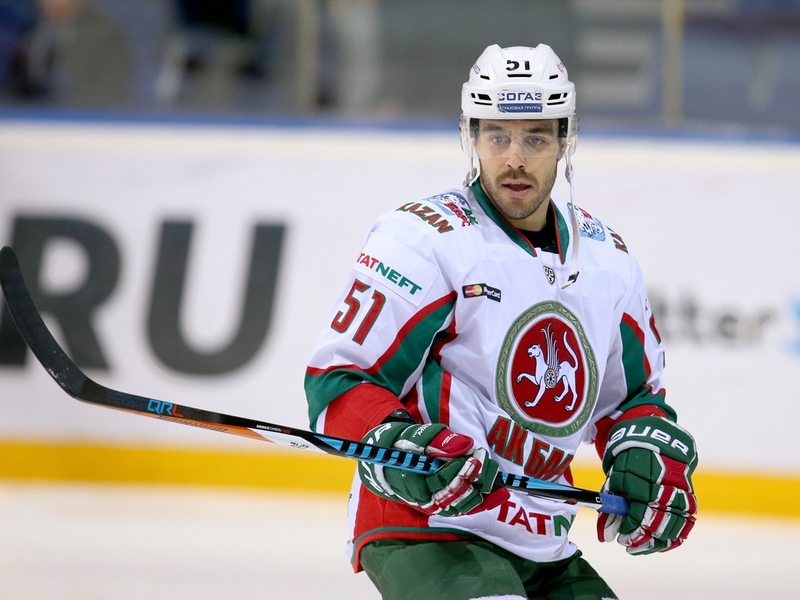 - What does Ak Bars need to improve most of all? - This is not the first time you have faced the Mozyakin – Kovar – Zaripov line in a playoff series. In 2014, you played against Magnitogorsk for Lev Prague in the Gagarin Cup final. - What do you think about the next game? 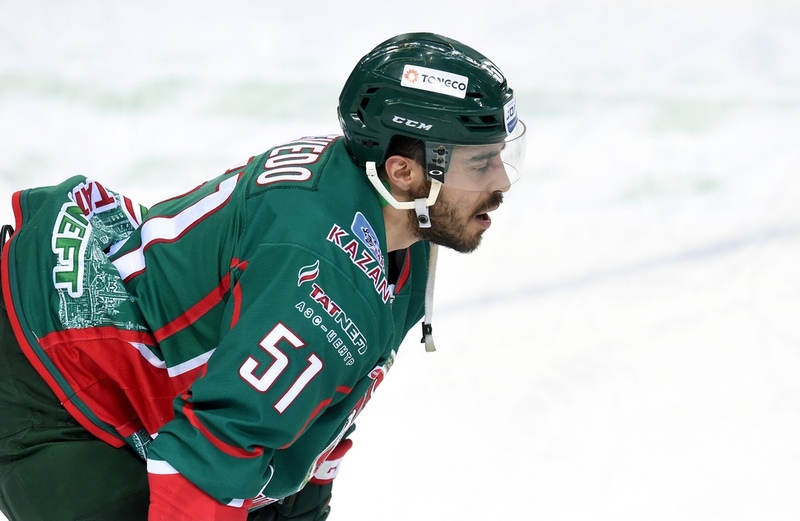 It could be the end of the season for Ak Bars.